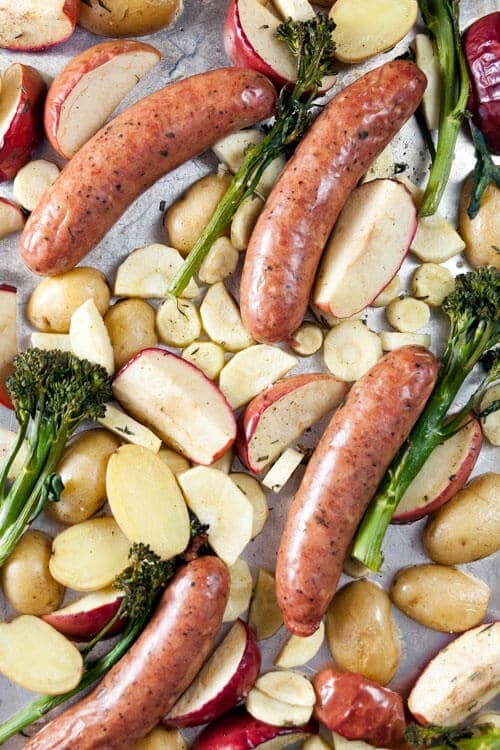 Roast sausages with apples and parsnips | Healthy. Delicious. 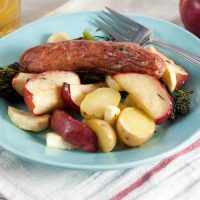 You can never go wrong with a sheet pan full of roasted vegetables, but when you add chicken sausages and sliced apples it’s a sure bet that dinner will be a hit! I’ve been really into sheet pan dinners lately: They’re delicious, impossibly easy to make, and they give me an excuse to turn on the oven and warm the house up a little bit. Plus, since everything cooks together, I’m only left with one pan to wash! As I mentioned last week when I shared the recipe for my breakfast risotto, I’ve been working with the New York Apple Growers to develop some recipes using their new Ruby Frost apples. The apples are firm and crisp, so they hold up to roasting and, since they’re not super sweet, they work well in savory dishes. Ruby Frost apples ripen later in the season and are available for a limited time in the winter months. They provide a healthy dose of vitamin C (about 14% of your daily amount) so they’re great for a mid-February immunity boost. They’re just starting to hit stores in the Northeast and mid-Atlantic states now, but they can be a little tricky to find. Check out the NY Apple Growers website to see a list of stores that carry them – hopefully there’s one near you! 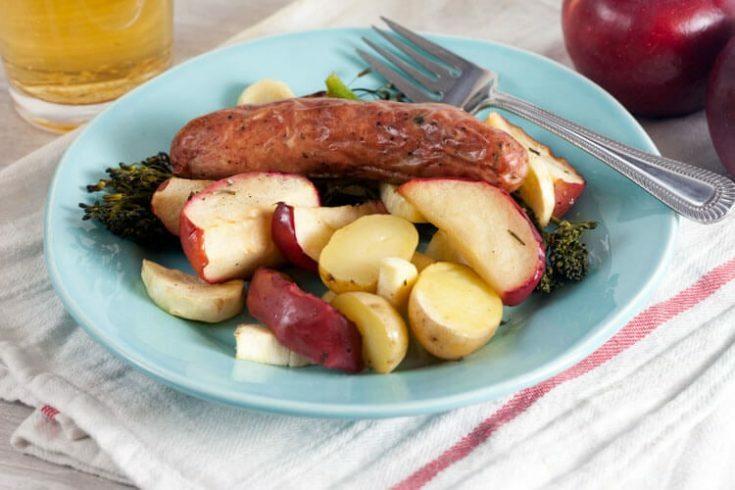 Combine the potatoes, apples, parsnips, and broccolini on a rimmed baking sheet. Drizzle with olive oil; toss to coat. Springle with the fresh herbs. Spread the vegetables out so they're in a single layer and add the sausages to the baking sheet. Season everything with salt and pepper. Roast for 20 minutes, or until the apples and potatoes are fork-tender. This post was sponsored by the New York Apple Growers. Thank you for supporting the products that keep me inspired in the kitchen! This was fantastic, even with me forgetting the salt! The apples & onions release their juices & caramelize beautifully. I ate my sausage with a dab of German beer mustard. This is going on a recipe card so I never lose it. YES! Sheet pan means are THE BEST, and I make them at least 3 nights a week. Every single thing tastes better roasted. Love the combo of flavors you used here, and those apples sound fantastic! I’ve heard of one skillet meals but not one sheet pan meals! I definitely need recipes like this for when I can just throw everything in the oven to bake while I continue to do some work. gotta love a good meal with easy clean up! The apples are the perfect touch to this meal! Never thought to add apples to the roasting pan but now I certainly will. They do so nicely with sausage and pork! How funny! I’ve been in the mood for sausage and apples for days now. Yours looks great! 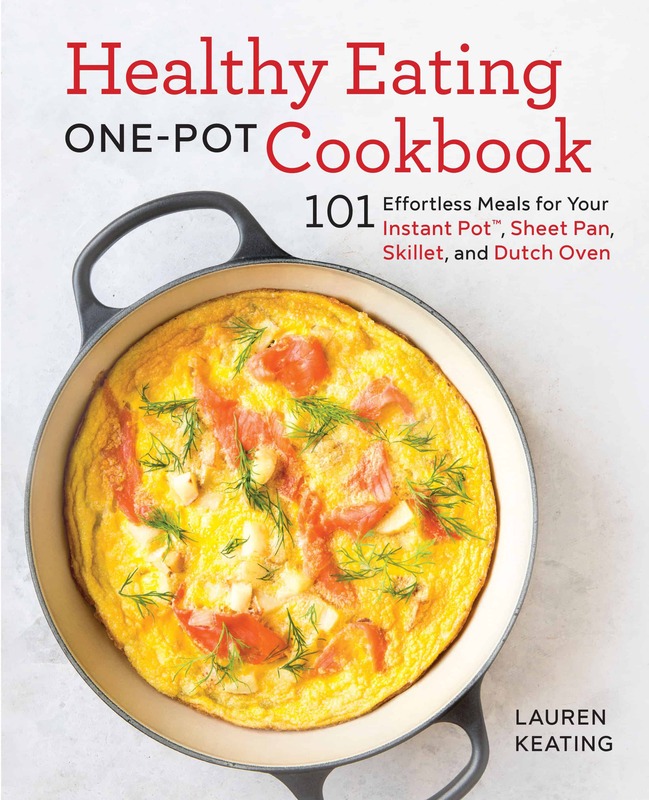 I love a flavorful one pot or pan meal. So easy, so good, and add apples, I am in! mm that does sound like a perfect dinner! oo and sheet pan dinners sound fantastic, we need to make this a “thing”. YUM! Nice, I love one sheet pan meals, too – this is an awesome combo. Love apples w/ sausage, and parsnips aren’t used enough! I too LOVE sheet pan meals! Everything is done at once ad with little fuss! This dinner looks perfect to me! Parsnips are seriously underrated. 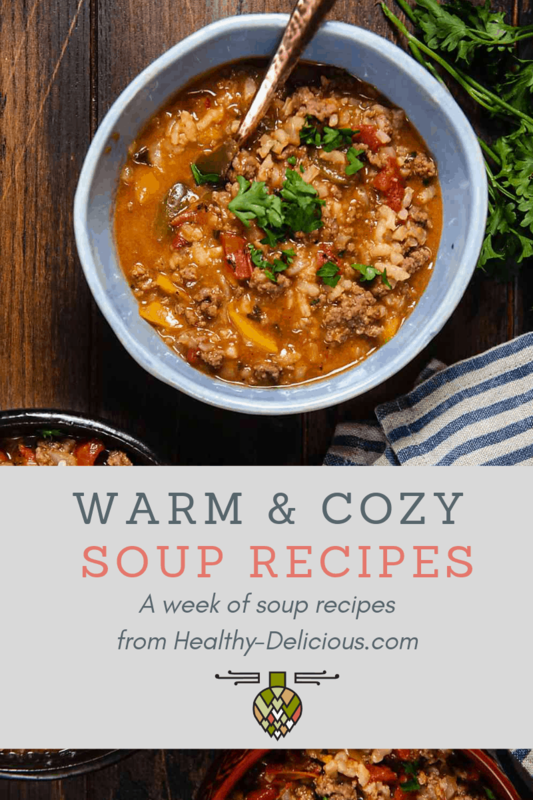 I really like how easy and flavorful this recipe looks! I really like the apples in the recipe. I bet the apples really turn this into a spectacular meal! Sounds amazing! Yum. Love including apples in savory foods! After seeing your recipes and Angie’s – I’ve got to look for these Ruby Frost apples! 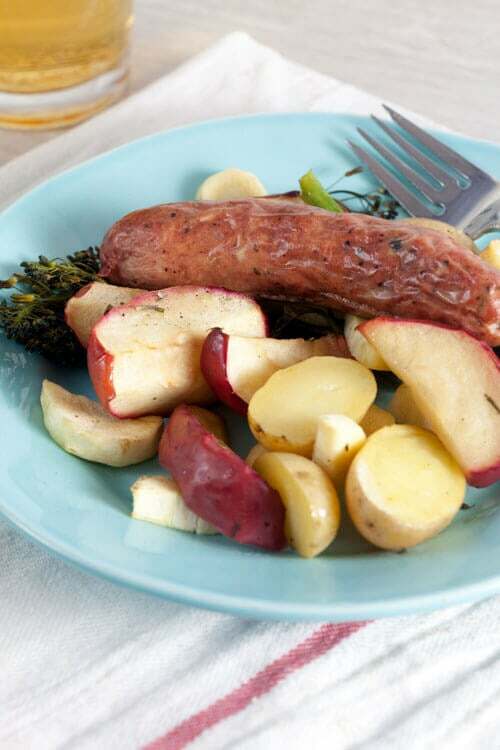 Love this simple meal – and the sausage, apples and parsnips is a great combination of flavors! I love the idea of sheet pan meals – easy prep and easy clean-up. It doesn’t get any better than that, especially when you add sausages and apples to the mix. LOVE sheet pan meals because it all gets cooked together and because I’m a fan of minimal cleanup 🙂 This chicken apple pairing is the perfect way to showcase these beautiful apples.